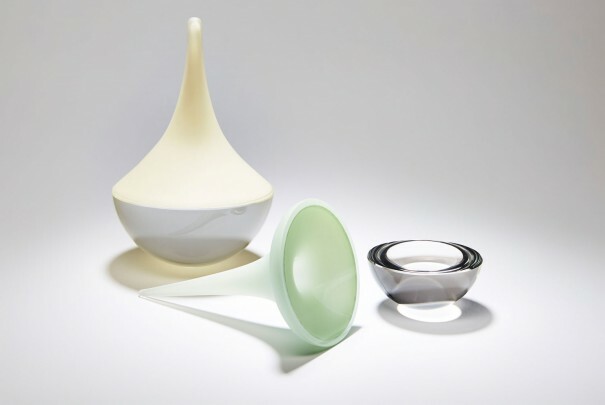 Cathryn Shilling’s years in graphic design allowed her to develop skills in a wide range of creative processes and products, and enabled a natural and spontaneous move into glass. 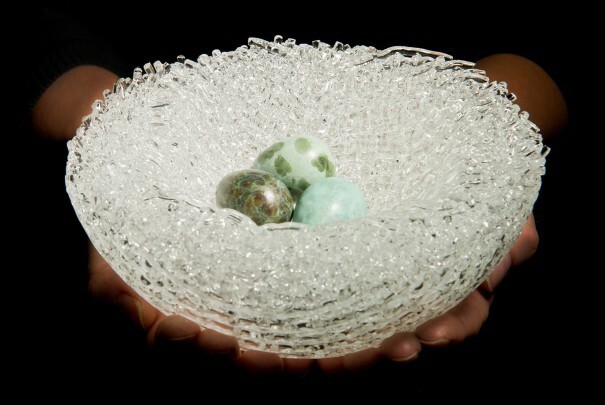 For her, kiln formed glass has proved to be the perfect medium, allowing for creative and technical freedom and enabling her to produce works that are tactile, intriguing and enduring. 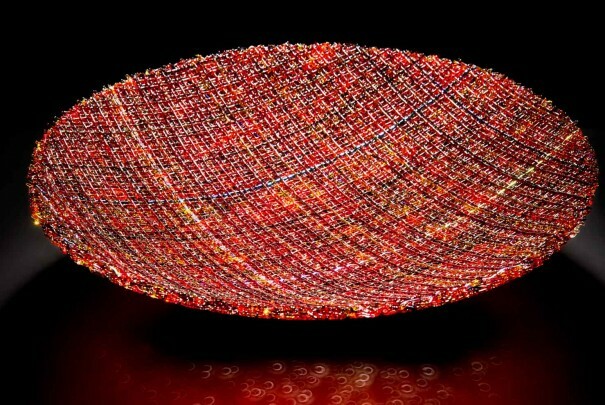 Cathryn is best known for her trademark glass cloth pieces which utilise the Venetian glass cane techniques. 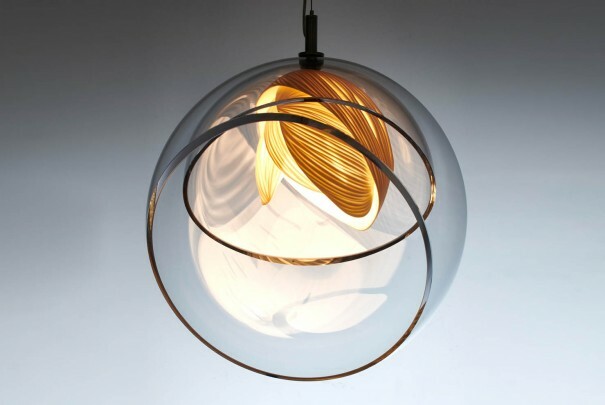 The canes are made by drawing molten glass into fine threads of no more than one or two millimetres. 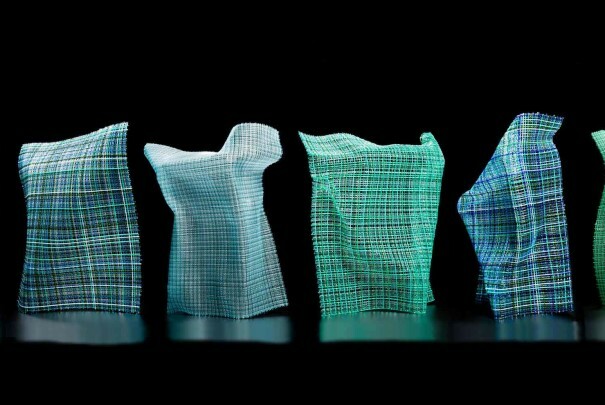 Cathryn uses a painstaking process to bring these together, strand upon strand, and then fuses them in the kiln until they resemble sheets of woven fabric. 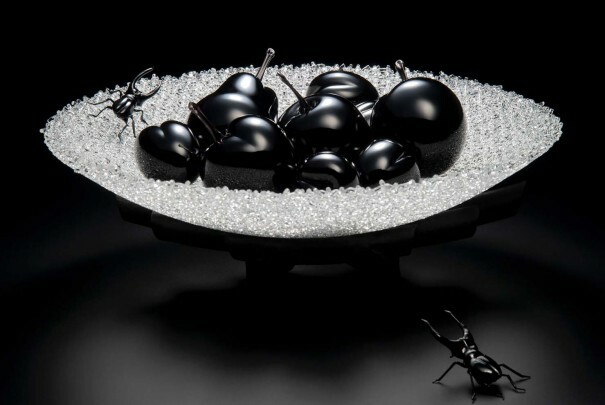 Her collaborative piece with Anthony Scala, ‘The Fragile Nature of Earthly Pleasures’ was recently lauded at the 2017 British Glass Biennale. 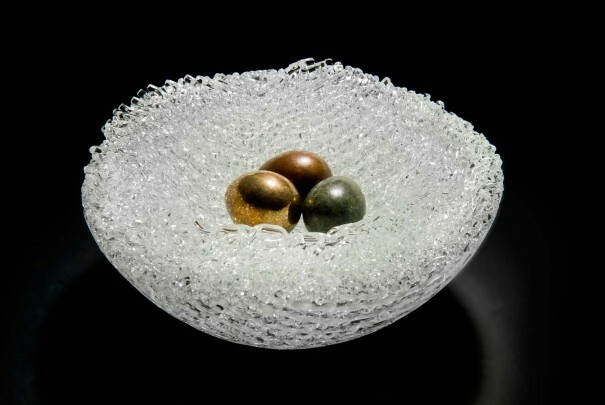 These are then re-fired and shaped while hot by moulding, bending or draping, to become three- dimensional artworks ranging from free-standing sculptures to opulent bowls edged with gold. 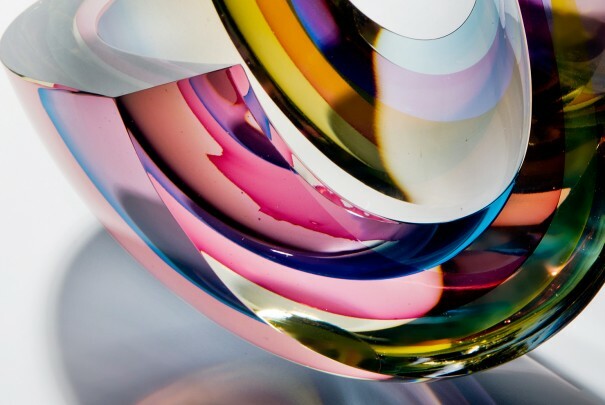 The vibrant surfaces of these pieces move and shimmer, exploiting texture, light and colour in surprising ways and evoking a sense of movement within the object as if the glass fabric were gently blowing against a human form. 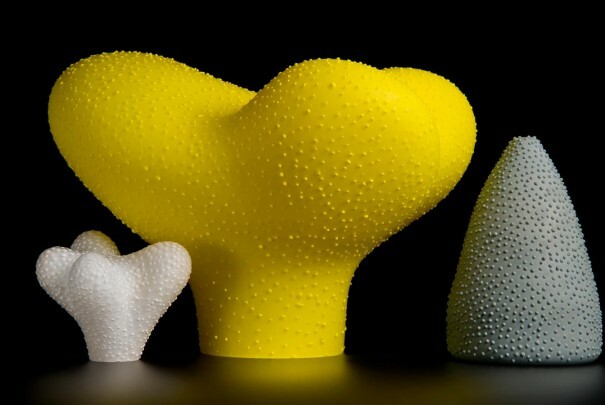 After graduating in Graphic Design from Central School of Art and Design in London, Cathryn worked as a Designer until her family’s move to the USA in 2001 prompted her to pursue a new and exciting creative direction. 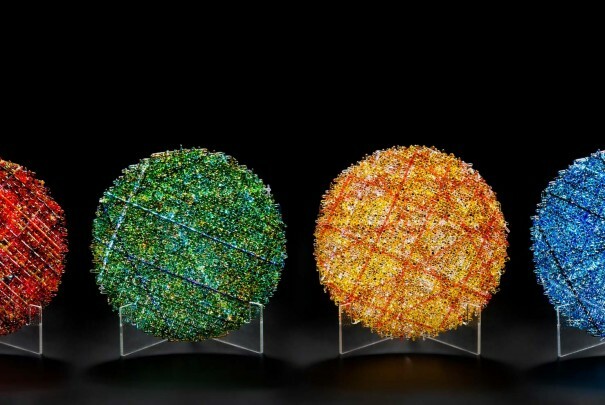 She studied the art and craft of Stained Glass in Connecticut and on her return to London in 2004 Cathryn began studying and working with Kilnformed glass as well as becoming a student of blown glass at London Glassblowing Studio. 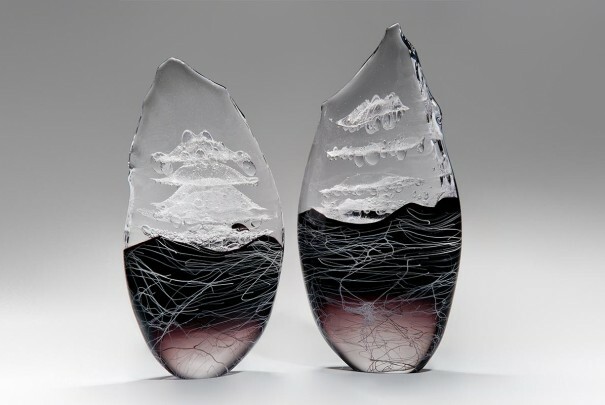 In 2007 she began making in her own studio in London and in 2010 Cathryn began to work with Peter Layton at London Glassblowing as Curator. 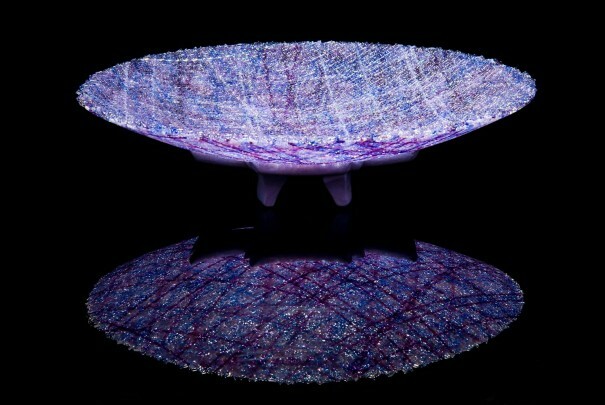 Cathryn’s work has been exhibited widely including: The Taos Art Glass Invitational New Mexico, USA, BODYTALK at the Glasmuseet, Ebletoft, Denmark; COLLECT at the Saatchi Gallery with Gallery at London Glassblowing, East-West Artists Exhibition, Kyoto, Japan and Hot Glass at Contemporary Applied Arts, London. 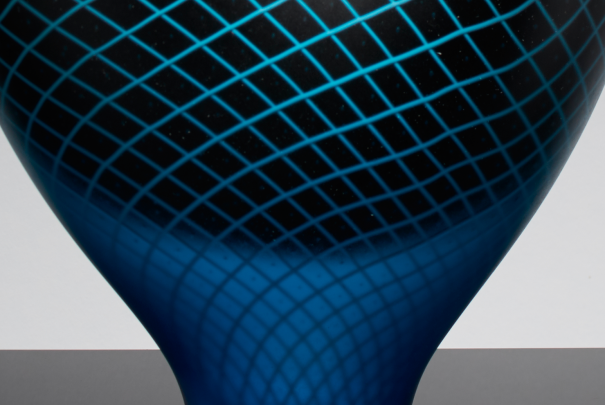 She has exhibited at the British Glass Biennale in 2010, 2012 and 2015, and in 2017 with Anthony Scala and twice in the Emerge Juried Kiln-Glass Exhibition at Bullseye Gallery, Portland, Oregon, winning the international Warm Glass Artists Prize in 2013. 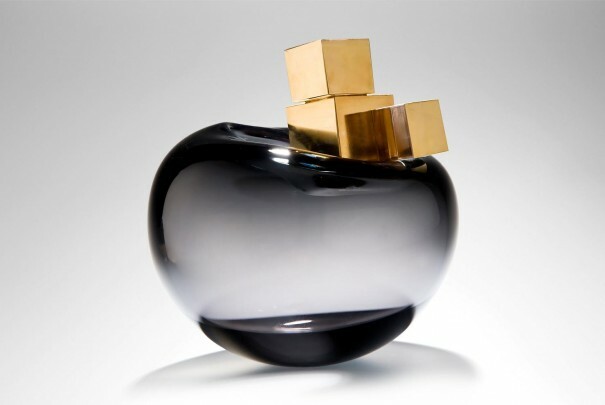 In 2015 she was number 4 in the Glassation list of ‘The 18 Most Game Changing Female Glass Artists’ and number 25 in the Graphic Design Hub’s list of ‘The 30 Most Amazing Glass Artists Alive Today’. 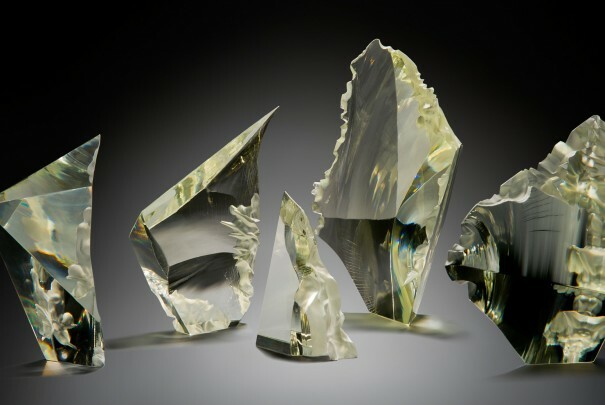 Cathryn Shilling’s work is amongst the most talked about in the gallery – the ethereal shapes of her kiln-formed glass sculptures stopping people in their tracks with their breathtaking beauty. 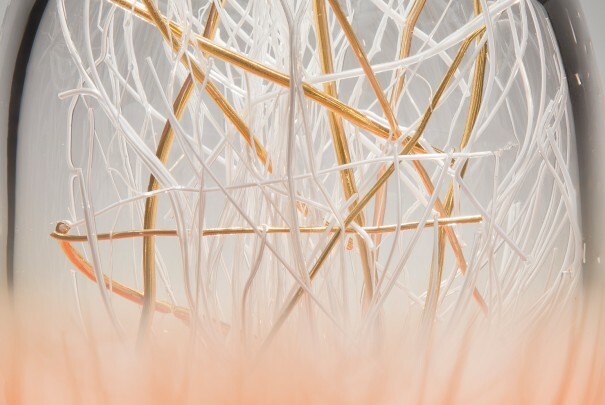 Gripping onto surfaces that don’t seem to exist, Cathryn’s works – in particular the Synergy Series – appear to fight a constant battle between form and fragility. 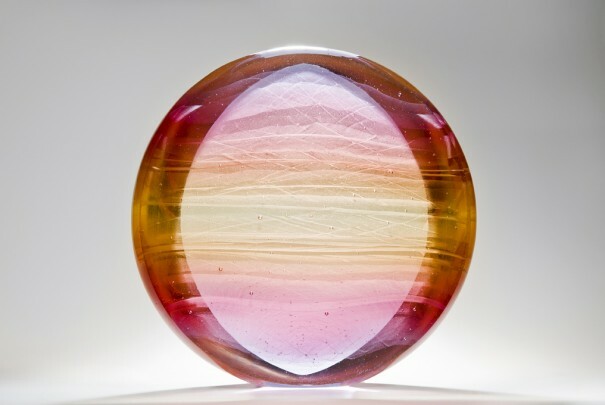 Yet her journey into glassmaking has been both circuitous and fortuitous; an adventurous life with every ounce of experience coursing through her collections. Cathryn studied a BA (Hons) at London’s Central School of Art and Design and set up her own graphic design business after graduating. 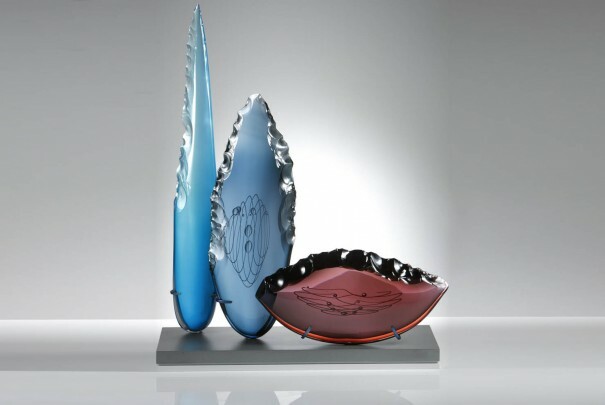 But it was a move to the US in 2002 that really kickstarted her love of glass, studying stained glass at the Renaissance Studio in Connecticut before continuing her studies at Kensington & Chelsea Adult Education College on her return in 2004. 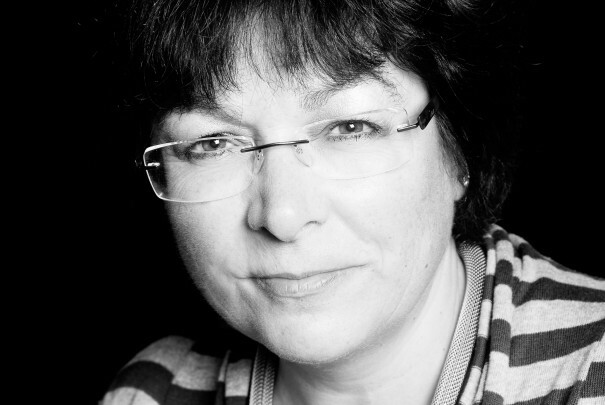 While the two specialisms don’t appear to be linked, Cathryn sees a strong tie. 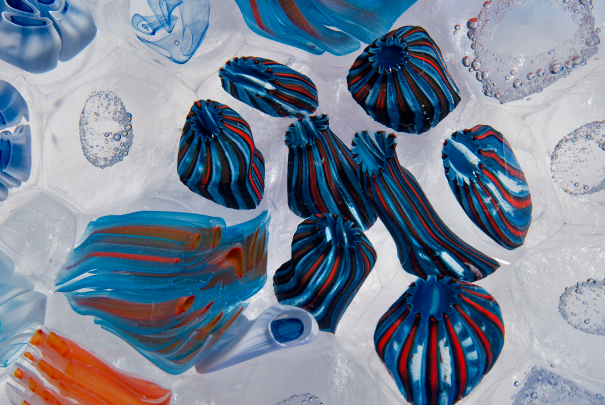 “My years in graphic design allowed me to develop skills in a wide range of creative processes and products and the move to glass seemed natural and spontaneous. 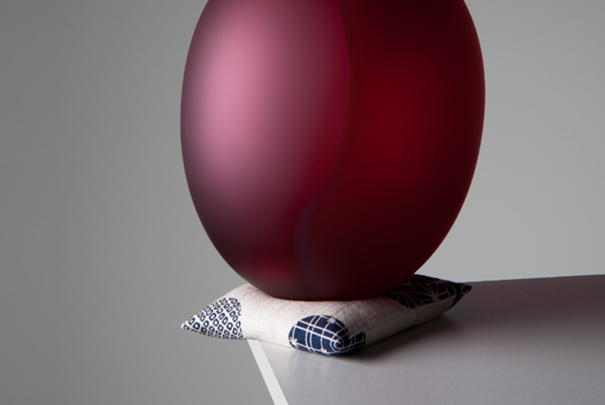 I have always found it a fascinating and seductive material and love exploring its fluidity as a liquid, its sculptural quality as a solid and its transparency in the use of colour and light. 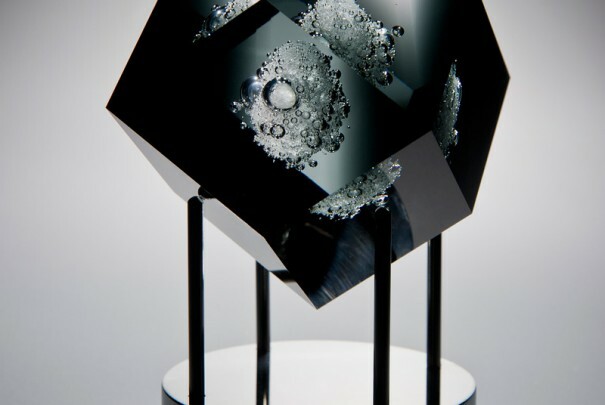 Her commitment to making objects which are not functional has helped Cathryn’s reputation spread far and wide. 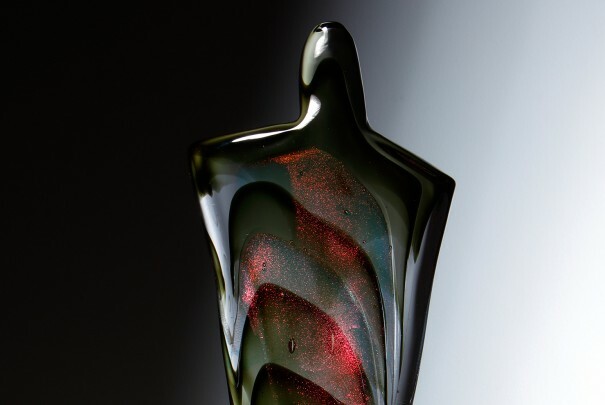 Indeed, her work is appreciated and revered by many, as the litany of awards testifies. 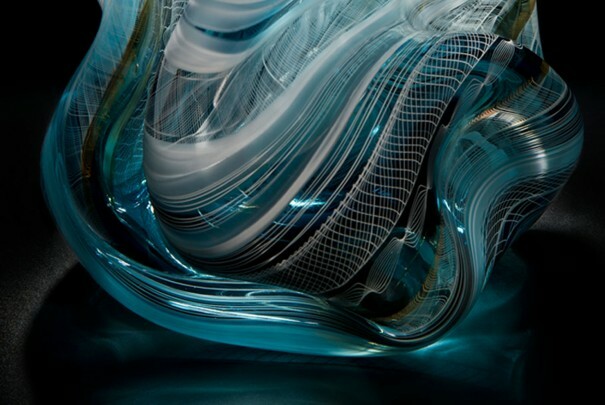 In 2009 her ‘Memory Surfing’ piece won the glass category in the 2009 V&A Inspired By… competition. 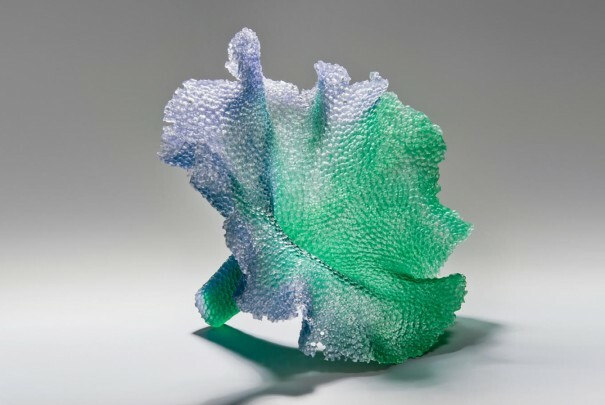 A year later Cathryn’s ‘Synergy Series I’ was selected as a finalist for the Bullseye Glass E-merge Juried Kiln-glass Exhibition as well the Remarkable Glass Exhibition at the Contemporary Applied Arts Gallery and her ‘Synergy Series II’ was selected for The British Glass Biennale. 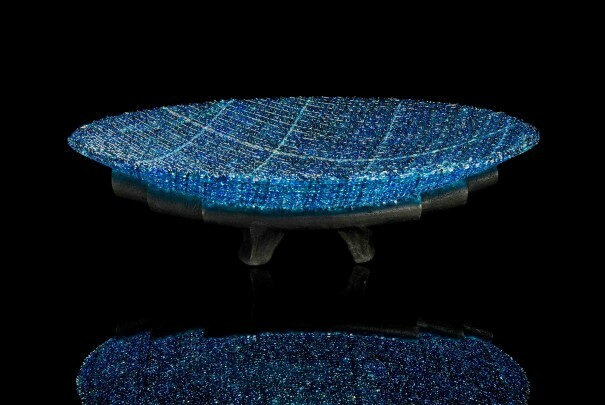 While she doesn’t keep much of her own work, Cathryn is rightly proud of one piece – an “inverted zoetrope”. 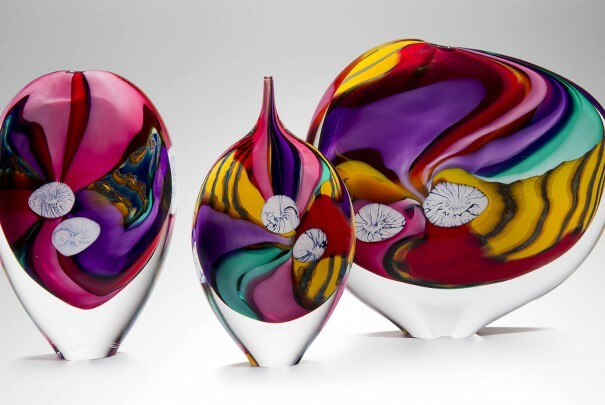 Like many of the artists, Cathryn’s association with London Glassblowing grew from humble beginnings. 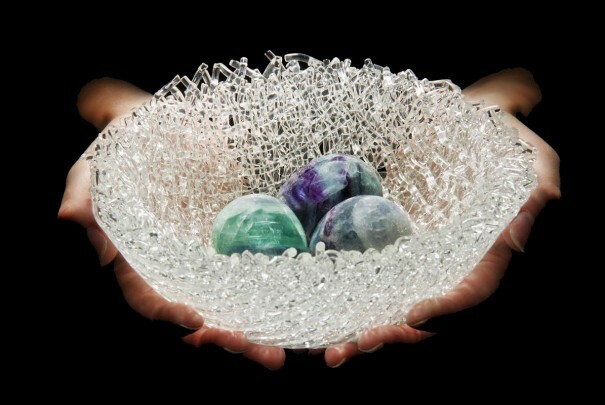 “Initially I was one of the glassblowing students,” she remembers. “Then I used to come and sit in the gallery and just help. I started fiddling about, rearranging things, tidying up – I suppose at some stage they thought I was useful and I joined the team as exhibition coordinator and curator in 2010. 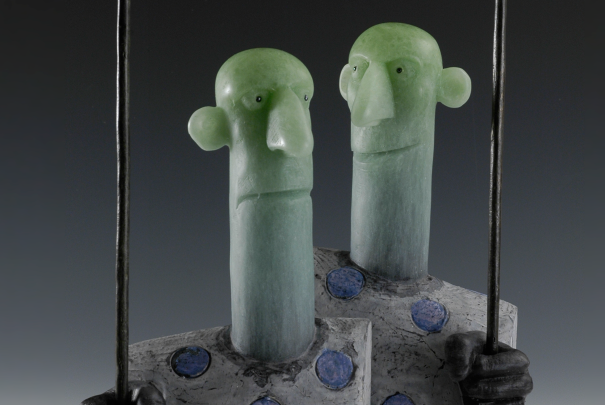 “I get called all sorts of things, the Headmistress is a favourite at the moment, but while I do crack the whip sometimes everyone knows I’m doing my best for them and the gallery.